Alpha G Corp’s portfolio extends across the country with developments in Ahmedabad, Amritsar, Delhi NCR, Gurgaon, Goa, Karnal, Jaipur, Meerut to name a few. Established in 2003, Alpha G Corp Development Pvt. Ltd. is one of the fastest growing professional companies in Indian Real Estate. Their projects vary from residential, commercial to township and retailing. Their project in Sector 22 in Gurgaon is still regarded as one of the best maintained projects in Gurgaon and has appreciated almost 7 times since its launch in 2005. Sector 84 is regarded as the epicentre of new Gurgaon constructed around National Highway 8. 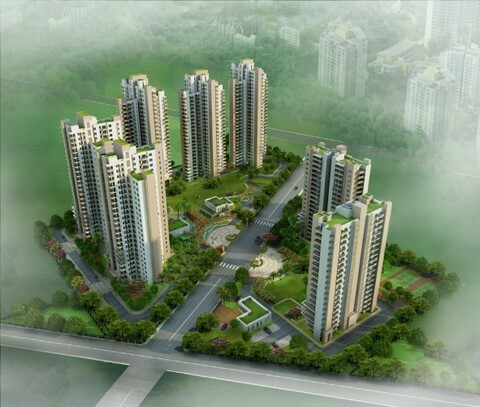 The sector is a part of the Gurgaon Master plan 2021 with the widest expressway in the country. Alpha G Corp has come up with a new project called GurgaonOne Sector 84 and has managed to stand out once again with their truly remarkable infrastructure. Their master plan has been laid out including 7 independent towers, each having twenty floors in combinations of two, three and four bedroom apartments extending out into green like flanges. Other features include three-sided open apartments, sustainable energy & water conservation, recreational club with excellent social and health facilities, safe pedestrian walkways, facilities for physically challenged, a helipad for emergency landings, professional facility management to provide a strong sense of security, hygiene and belonging to the residents. Two basements have been planned to create ample parking space for the residents. 1.500 meters from the 150 meter wide Dwarka Expressway. 2. Adjacent to the proposed Interstate Bus Terminal and Metro hub. 3. Two kilometres from NH8. 4. Twenty minutes hassle-free drive from Indira Gandhi International Airport. 5. In close proximity to a 3000 acres Special Economic Zone and adjacent to the New Gurgaon Commercial Belt. 7. The area around the toll plaza will emerge as the CBD (Central Business District) of a self sustainable and well-connected Gurgaon in times to come. This project was launched at between Rs. 3,200 and Rs. 3,500 per square foot in January 2011. Today, in the resale market the rate per square foot is between Rs. 5,100 and Rs. 5,500 per sq ft. This is an appreciation of 60% in two years’ time. We foresee this project appreciating in value in the coming years as with the completion of Dwarka Expressway (DEW), access to this area will increase. Also, if we look at other parts of DEW closer towards Delhi, apartments are selling at Rs. 8,000 to Rs. 10,000 per square foot. We don’t see these apartments appreciating more than 20-30% in the next five years. We look at the benchmark of MG Road and Golf Course Road where the prices are hovering around Rs. 18,000 psf and Rs. 13,000 psf respectively. We don’t see Sectors 10X going beyond Golf Course Road in the coming years. New Gurgaon, where this project is located has the potential of higher appreciation simply because our base in much lower at between Rs. 5,000 – Rs. 6,000 psf. With the upcoming Delhi – Mumbai Industrial corridor areas closer to Manesar will see an influx of end users as more factories and warehouses are set up in that belt. Based on the developer’s history, and our understanding of the project, we recommend our clients to buy this from an investment point of view, as well as an end users point of view! You can contact us at shrey@crem.co.in for further details on this project.